Cadbury’s is a trusted household name and I swear they do something to their mini eggs to make them more addictive than caffeine. Their range each Easter includes some standard household names like Dairy Milk eggs, Crème Eggs, Freddy the Frog and now Egg & Spoon. I thought Egg ‘n’ Spoon was basically a Crème Egg but with chocolate rather than fondant inside and frankly couldn’t bring myself to try them. The thought of that gooey interior was just too much to contemplate, I was wrong. 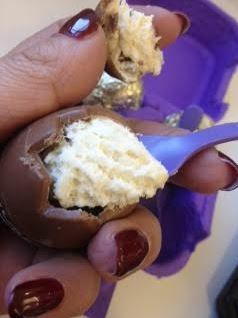 The inside of an Egg ‘n’ Spoon carton are 4 eggs filled with a mousse! So what’s in the Cadbury range? Well, I’ve eaten my way through most of it and there is the traditional filled egg. 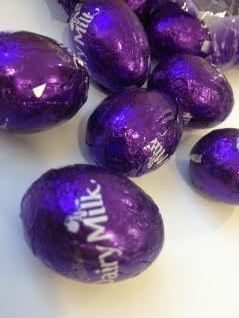 I have one with mini eggs but there is also Dairy Milk eggs and caramel eggs so there is a range to choose from. 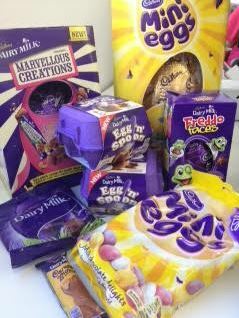 Of course I chose the addictive mini eggs! Bags and bags of mini eggs. I could eat these forever and so could the office. 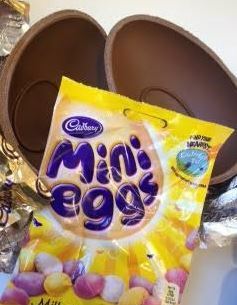 In fact I replace mini eggs with the Cadbury Pebbles after Easter 😀 There are also amazing eggs with mini eggs – very posh-looking in the lovely box with ribbon. Freddo isn’t a line I do much with having no kids. 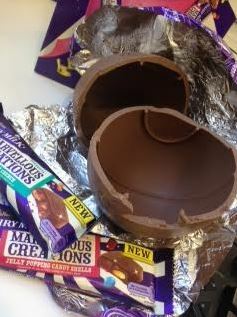 The office, however, reverted to children as they gleefully tore into this and the other Easter treats! Marvelous Creations is something I haven’t tried yet. Crazy flavour combinations in a bar. The egg doesn’t have the inclusions in the eggshell but there is a bar in with the egg and typical crazy packaging. The fun here is in trying the wacky creations. It would have been fun to have had the inclusions from the bar in the actual egg but I have a feeling that would make the egg quite a bit more expensive and possibly less affordable for a family. 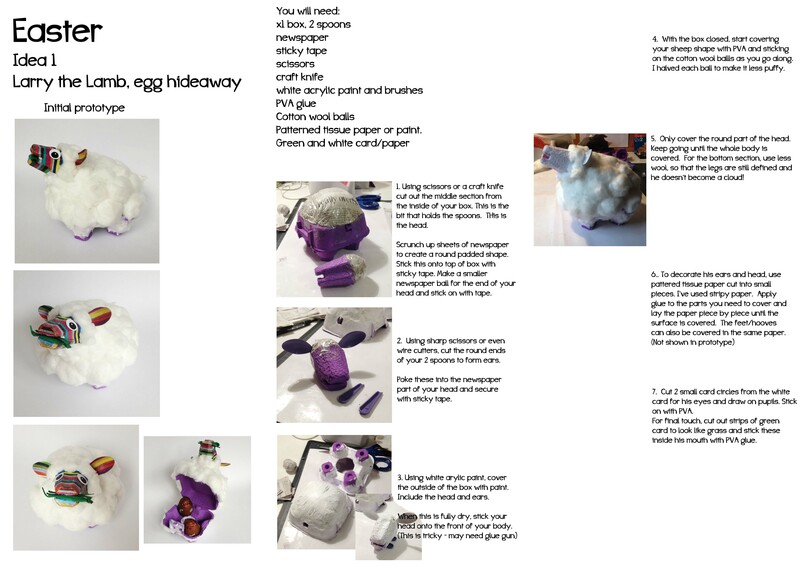 To make your Egg ‘n’ Spoon cartons go further and maybe keep sugar-high children occupied while all that sugar is coursing through their veins, the lovely folk at Cadbury have put some time and effort into creating some activities to do with your kids. 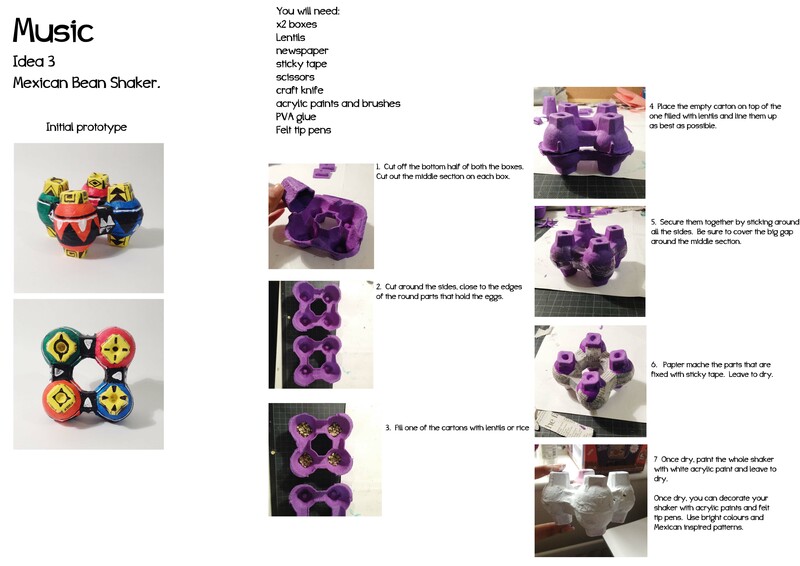 The idea is simple – after you’ve finished with your mousy Egg ‘n’ Spoon carton you can turn it into something creative to play with for the rest of the day (or longer). 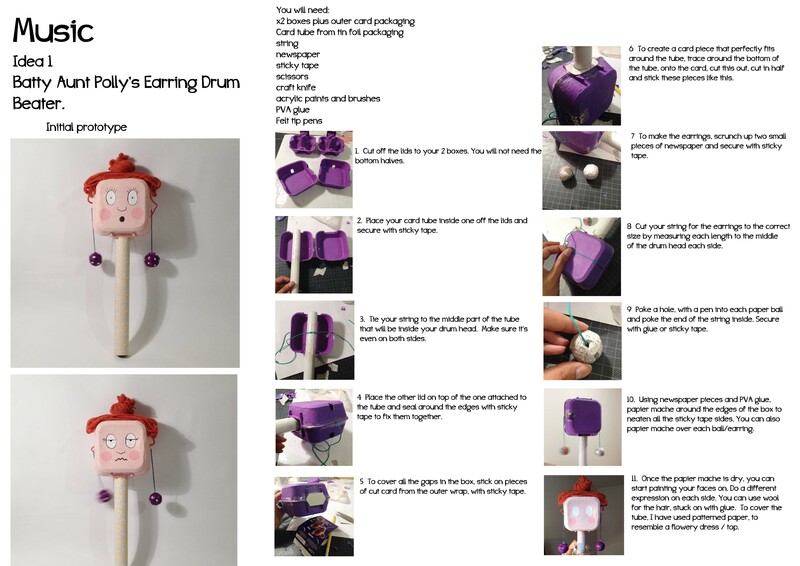 All of the activities can be DOWNLOADED BELOW so that you are able to print them out and don’t have a seemingly infinite scroll. My favourite is the shaker but the sheep is pretty cute as well. 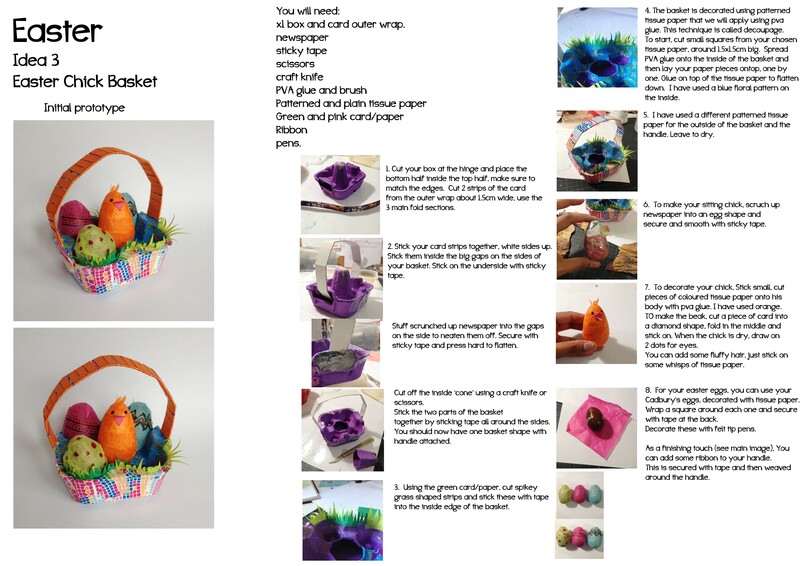 Overall, it is about playing with your kids and getting crafty with Easter packaging after enjoying your Egg ‘n’ Spoon!